During the past 25 years, ACS has attended the majority of the annual meetings of the International Whaling Commission (IWC), in order to promote responsible decision-making within the organization that is empowered to determine if and how whaling shall be conducted. In collaboration with like-minded organizations such as the Humane Society of the United States, the International Wildlife Coalition, the Sierra Club, the International Fund for Animals, the Whale & Dolphin Conservation Society, and the World Wildlife Fund, ACS gives a face and a voice to the conservationist point of view and persuades others to prevent irreversible devastation to these magnificent natural resources whose survival is by no means guaranteed. 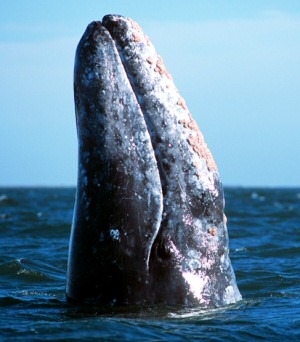 ACS gathered thousands of signatures on petitions, wrote letters to American, Japanese, and Mexican government officials, and joined a coalition of environmentalists to stop Mitsubishi and the Mexican government from building the world’s largest salt evaporation plant in the gray whale calving lagoon of San Ignacio in Baja California, Mexico. This ended a 5-year battle between the forces of conservation and development, reinforced the integrity of this UNESCO World Heritage Site and Biosphere Reserve, and brightened the prospects for the future of the largest surviving population of gray whales (the North Atlantic population is already extinct). ACS was actively involved in the campaign to stop the Navy’s attempt to deploy a powerful new sonar system called “LFA” (low frequency active sonar) which researchers predict will harm whole populations of marine life. When the National Marine Fisheries Service held public hearings, ACS attended, and the Navy’s permit was delayed. In 2001, the Navy admitted that their sonar tests were indeed the cause of death for at least a dozen cetaceans that beached themselves in the Bahamas after suffering from extensive bleeding in the brain, eyes and ears – exactly the kind of irreparable acoustic damage researchers had anticipated. ACS chapters also have conservation programs; most of which are focused on issues within their region.